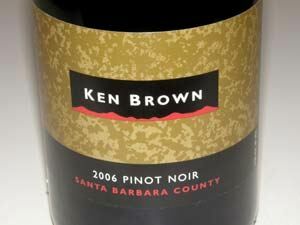 Ken Brown is one of Santa Barbara County’s originals. He has been crafting wine in the area since 1977 and was the founding winemaker at both Zaca Mesa Winery and Byron Winery. 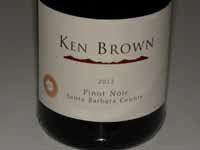 Ken was one of the first to realize the potential of Santa Barbara County to produce fine Pinot Noir and Chardonnay. He was also the first to introduce Pinot Noirs relatives, Pinot Gris and Pinot Blanc, and Syrah, to the area. 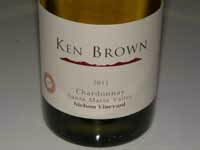 After leaving Byron Winery in 2003, he started his own label specializing in small lot Chardonnay and Pinot Noir. 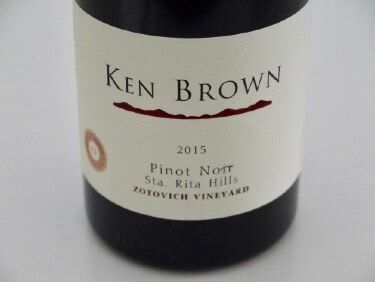 He has downsized considerably, with only himself and his wife, Deborah, running the show, and producing a modest 2,500 cases of wine at Terravant Wine Center in Buellton, CA. Brown still consults for a number of larger labels. 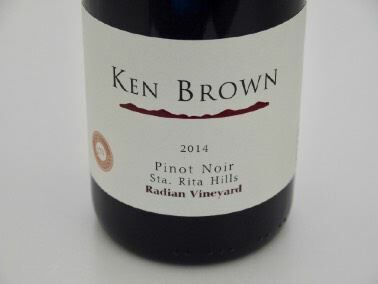 Brown started the Byron label in 1984, sold it to the Robert Mondavi family in 1990 and stayed on as winemaker until 2005. 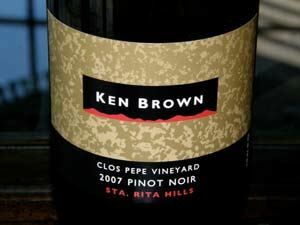 He started the Ken Brown label in 2003, moved into a shared warehouse facility in Lompoc in 2005, and then to Terravant in 2008. 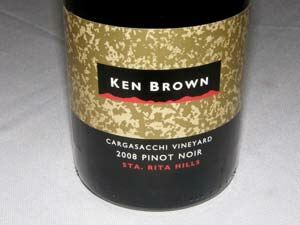 Brown has access to many of Santa Barbara's best Pinot Noir vineyards including Cargassachi, Rancho La Vina, Clos Pepe and Nielson. Many winemakers have mentored under Ken Brown including Jim Clendenen of Au Bon Climat, Bob Lindquist of Qupe Wine Cellars, Chuck Carlson of Curtis Winery, Lane Tanner of Lane Tanner Winery, Adam Tolmach of Ojai Vineyard, Clay Brock of Wild Horse Winery, and Mike Sinor of Sinor-LaVallee. 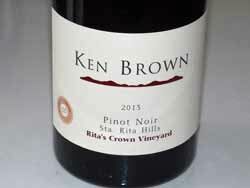 Ken Brown Wines are sold through the website and through retail channels. Tasting by appointment at the tasting room at Terravant Wine Center at 70 Industrial Way in Buellton. 805-688-4482.